Allow yourself to be transported back to beauty’s golden age with An Atlas of Natural Beauty. 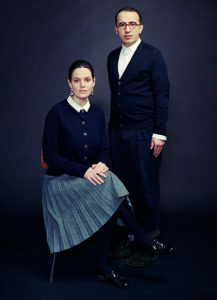 First established as a Parisian trendsetter in the 19th century, the beauty emporium has been reincarnated as L’Officine Universelle Buly on Rue Bonaparte in Paris. 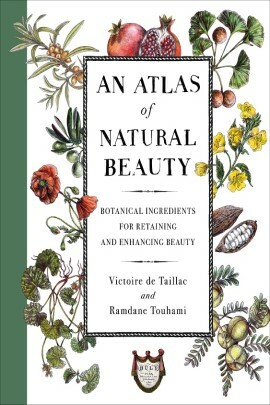 Invention and natural beauty are at the heart of Buly and this exquisitely designed book allows you to sample their unique aesthetic heritage as a French apothecary as well as discover the modern uses, properties and home beauty recipes for over 80 seeds, flowers, oils, trees, fruits and herbs. Including an exotic and diverse range of botanicals – from apricot and avocado to argan oil and aloe vera – there are explanations for where the ingredient came from, its history, how it has been used in the past and recipes for how to use it as a beauty solution now. This is the perfect guide for all modern natural beauty enthusiasts as the virtues of each ingredient are highlighted and clearly explained to ensure naturally radiant skin is easily achievable.